In which G.M. Norton makes the discovery of a lifetime – the finest moustache wax in all the land. 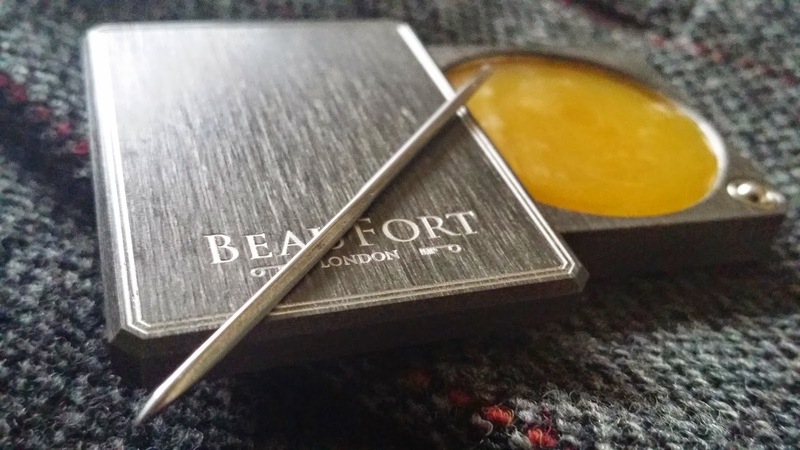 Recently, I was lucky enough to be given a new moustache wax to try from BeauFort London. I first got wind of BeauFort London through the wonder that is the Twittering Device. Upon visiting their webular site, I was quite simply blown away by it. The imagery and language used is quite breath-taking and I hoped against hope that their flagship grooming product would live up to its promise. Well, after testing it out in the varying weather conditions that is known as ‘the great British summer’, I am now in a position to share my opinion with you, dear readers. Quite simply, and before I start to wax lyrical, I am astounded. There, I’ve said it. 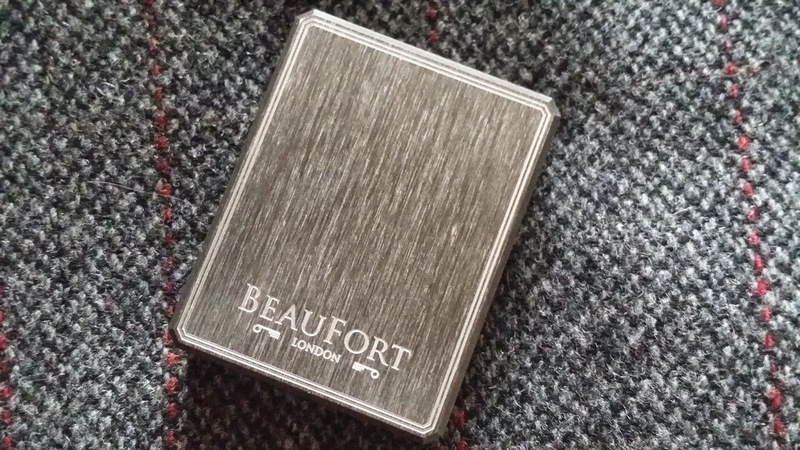 Firstly, what sets BeauFort London’s finishing wax apart from the start is the exquisite case that the wax is enclosed in. Other makes of moustache wax either come in a disposable screw-top tin or tube, reminiscent of toothpaste. Tins and tubes just don’t cut the mustard with BeauFort London. Oh no! 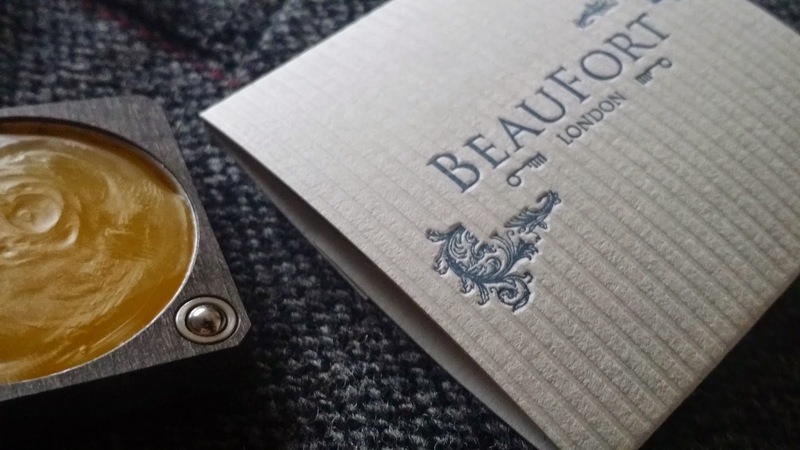 BeauFort London have created a bespoke refillable case that will last a lifetime. Carved from solid aluminium, it is pocket sized and substantial enough without being too weighty in the old jacket or trouser. If I may, I’d like to explain how the case works. Rather niftily, the case swivels open (as you may expect from something manufactured in the same city as the E-type Jaguar) to reveal a delightfully golden-coloured wax. Once the wax has been used up, one simply inserts the steel ‘sailmakers needle’ into a tiny hole, thus ejecting the empty wax cartridge. 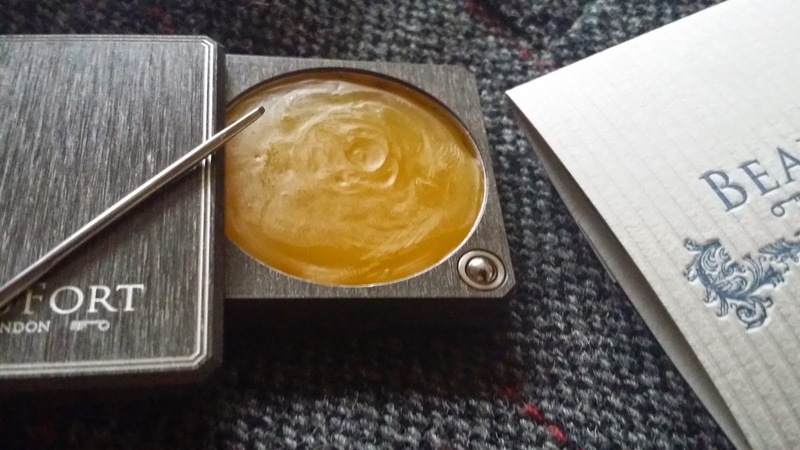 A new cartridge can then be slotted in and you live to wax another day. At £80, it may be costlier than other waxes available, but then other waxes don’t come with a British-made wax vessel that's built to last. When you consider the solid construction of the case and that it includes two refill wax cartridges (one loaded, one poised and ready to leap to your aid), it suddenly seems worthy of handing over a few pieces of paper with Her Majesty’s visage on them. Replacement wax refill cartridges are a respectable £15. This really is a high-end and luxurious product. Indeed, I feel like quite the gentleman carrying a sturdy case around, rather than a disposable tin. Imagine this scenario for a moment, if you will. You are with your equally hirsute chum at the local drinking tavern. After over-doing it on the villainous moustache twirling, you both decide it’s an opportune moment to give your moustache tips a little touch-up of wax. Reaching into your respective pockets, your chum pulls out a small tin of whisker wax. In comparison, you pull out your pleasingly weighty case; with its stainless steel snap closure, swivel hinge and hard anodised* outer coating. Gasps from fellow drinkers fill the saloon, as your pal drops his tankard in shock. That’s right, you are now the envy of your peers and the subject of winsome, wide-eyed admiration from fair maidens who insist on taking a closer look at it. *I don’t have the foggiest what ‘anodised’ means, but doesn’t it sound fabulous? Ever since embarking on growth of the upper lip, I’ve tried wax upon wax in an effort to tame my unruly nose neighbour. Unfortunately, the vast majority of moustache wax available offer the hold of a snapped suspender belt. 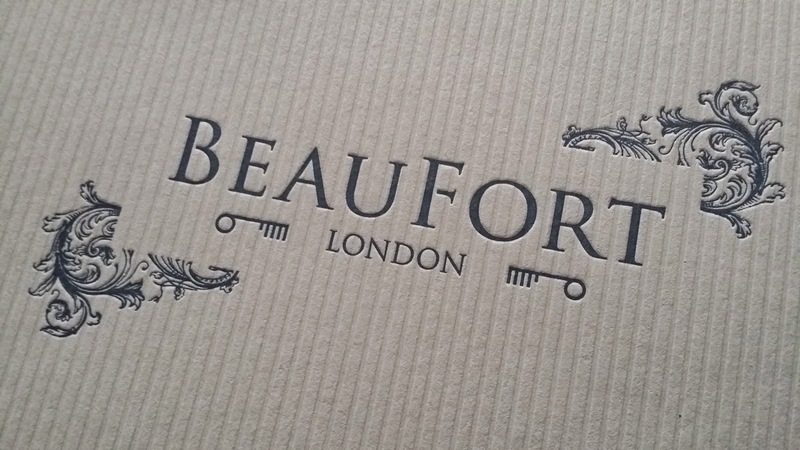 Packaging aside, this is where BeauFort London excels where so many others continue to fail. The wax has a super strong hold, helping my whiskers to stand by for inspection, and remain standing for the rest of the day. I’m pleased to report that heavy rain, wind and blazing hot sunshine have all tried their level best to budge it, but with no success. The wax is also rather pleasing to the nostrils with vanilla and caramel wafting under them like a tasty dessert. The texture is quite interesting too. I’d describe it as gum-like, very malleable and easy to apply. This is always a bonus, if like me, you contend with a house full of ladies all vying to use the mirror in the morning. 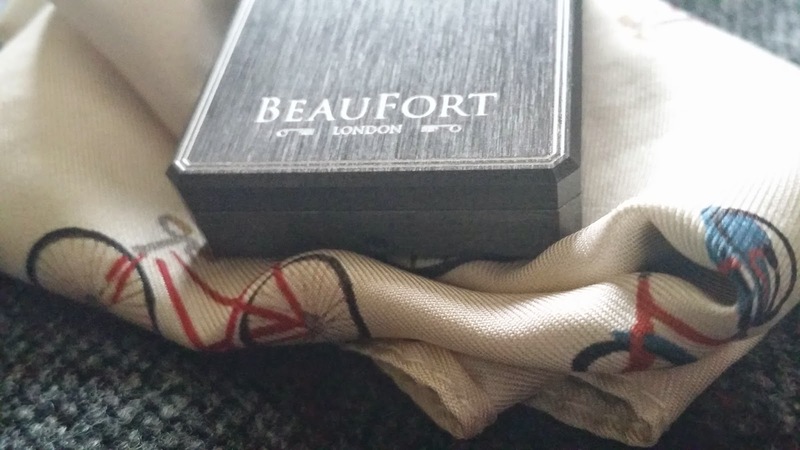 It’s clear to see that the name BeauFort London is synonymous with excellence. I understand that more gentlemanly grooming products are to follow. I for one cannot wait. I applaud their strive for quality and wish them joyful tidings. Apols for the tardiness of my reply to you, old thing. I quite agree, I will contact BeauFort London and mention your predicament. It is a lot of money to try a wax that may not be to your personal taste. The refills are fifteen English pounds but they are built to be loaded inside the case.